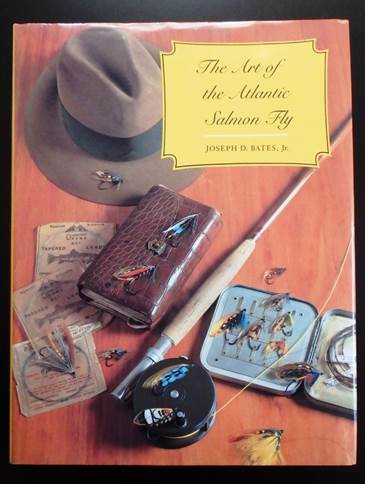 So I've been reviewing books of Atlantic Salmon Flies. Have you noticed that it's been a historical review? Even though we are learning modern techniques through modern books, we are constantly working on the past objects created by the past craftsmen. I'd like to say: to dress Atlantic Salmon Flies is to be interested in their history. That is quite natural. Personally, perhaps for most of enthusiasts too, "The Golden Age" (just the turn of 20th century) always fascinates me. Not just because of those gaudy flies, but also it's the time period that we can vividly imagine, making us feel we might be able to reach. As I reviewed, Poul Jorgensen's book there was the resurgence of Atlantic Salmon Flies in '70s, which lives through since. We come up with new methods and techniques (tying in and handling feathers, dyeing/making substitutes, framing, and so on). Indeed we are making our own history, adding our names and creations based on what has happened in the past. History of Atlantic Salmon Flies, from the origin to the modern resurgence, is discussed here and there, focusing on a certain period, person, or a fly (series of flies). You may gather such articles or books. However, luckily we have one complete book that we can really enjoy and treasure. This immense work (David R. Godine, Publisher, Inc., ISBN: 0-87923-674-4) by Colonel Bates should earn a space on every enthusiast's bookshelf. What a detailed review from Day 1 (that we can trace) to the modern resurgence as the art form!! First we'd better mark this book was published in 1987. That must be way before the dawn of the Internet and emails (perhaps except for specialists/technicians who were developing it). As one of modern dressers or just as someone who appreciate the benefit of technology, I just can't believe the amount of research the author had conducted nor imagine how long it would have taken; long-distance phone calls, writing letters, sending in and out flies for photography, collecting/finding antique books and flies, and the list goes on. World-class dressers at that era contributed masterful flies for beautiful colored plates. Those flies add visual enhancements and guide us historical development of salmon flies. Last but not the least, we are talking about history past that we can't change nor touch. In that regard, this book shines brightly in 21st century standard and deserves the best respect. This was another kind gift from one of my clients. It can be found through online stores (oh, we do appreciate the technology). Price varies by conditions. There still might be a few new ones (not pre-owned) which apparently cost a lot.